Capitalizing on our in-depth industry knowledge and years of experience, we are involved in manufacturing and supplying a comprehensive range of Modified PTFE Products. These are manufactured using high grade raw material, sourced from some of the authentic vendors of the market. We have advanced machines at our premises that help us manufacture the products in varied designs, sizes, grades and other such finishes as per the application needs of our clients. 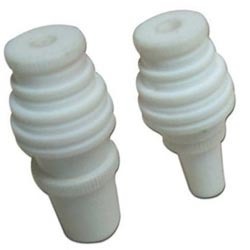 Our organization holds years of experience in the domain of manufacturing and supplying an extensive range of Modified PTFE Bush. All these products are manufactured in compliance with the set industry norms at our sophisticated production unit. These products are developed in various technical specifications under the strict supervision of our experienced professionals. We offer our range at market leading rates and in bulk quantity. Over the years, we have emerged as a reputed name in the market by offering our clients a wide range of Modified PTFE Circle. 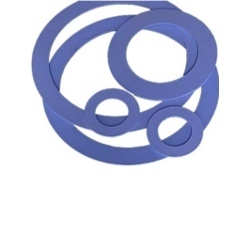 Manufactured in strict tandem with the set industry norms, these circles are dimensionally accurate and durable. We test the final range on well-defined parameters to ensure that the end product is defect-free. Over the years, we have developed expertise in manufacturing and supplying an extensive range of Modified PTFE Disc. 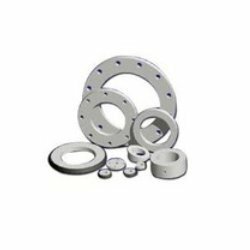 Developed at par with the set industry norms, the products we offer are defect-free and dimensionally accurate. We offer our range in both standard and customized finishes in order to attain maximum client satisfaction. We pack the orders safely and deliver them at clients premises within the stipulated time frame. With the assistance and support of our professionals, we are involved in offering optimum quality range of Modified PTFE Ball Valve Seals. These seals are developed in compliance with the international quality standards by our skilled team of engineers. We assure to test the final range on well-defined parameters in order to deliver flawless range.